5/5: Expedia, April 2019: A wonderful facade greets you and welcomes you, the owners are there to make you feel relaxed and ready to enjoy all the wonderful facets of the property, a new twist at every place you turn to. The views stretching over the leafy trees into the distant sea, with the weather constantly changing to paint a new picture for you, gives you a feeling a peace and relaxation. The brilliant and really caring service from our hosts was just the icing on the cake!! 5/5: TripAdvisor, March 2019: Anniversary Weekend: Amazing place, amazing facilities, exceptional food and wonderful hosts. Could not recommend The Country House at Hunchy more highly. The house and facilities were beautiful, our suite was well appointed with everything catered for even down to the finest details. The setting which the house is set in is tropical and tranquil and for our anniversary celebration was everything we hoped for. Nothing was too much trouble for our hosts Karin and Paul with amazing food and very personalised service, Karin organised a couples massage within our suite by a local therapist, absolutely fantastic. While Paul has provided some exceptional local knowledge which enabled us to navigate the local area to maximise our time there. 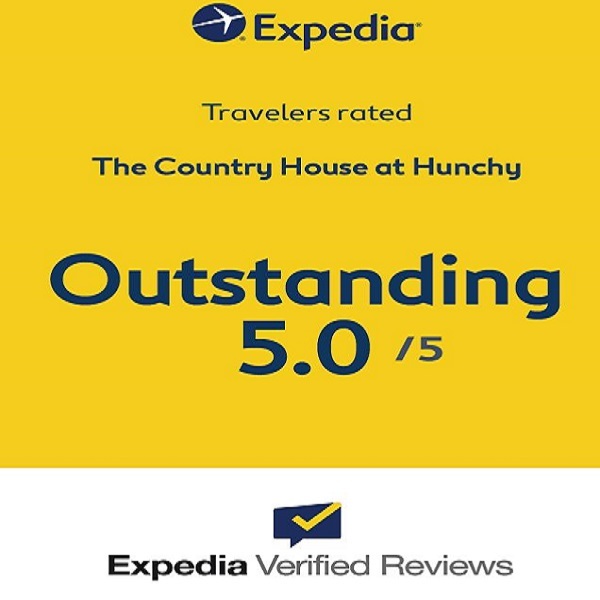 We would highly recommend The Country House at Hunchy to the traveller who likes the finer things in life and is looking for luxury and pampering, we will definitely be returning. 5/5: TripAdvisor, March 2019: Holiday! What a beautiful place to stay, nice and quite. clean and well set out. Pool and balcony. Karin and Paul are very friendly and welcoming. we had dinner there 2 nights of our stay and the meals were absolutely delicious. 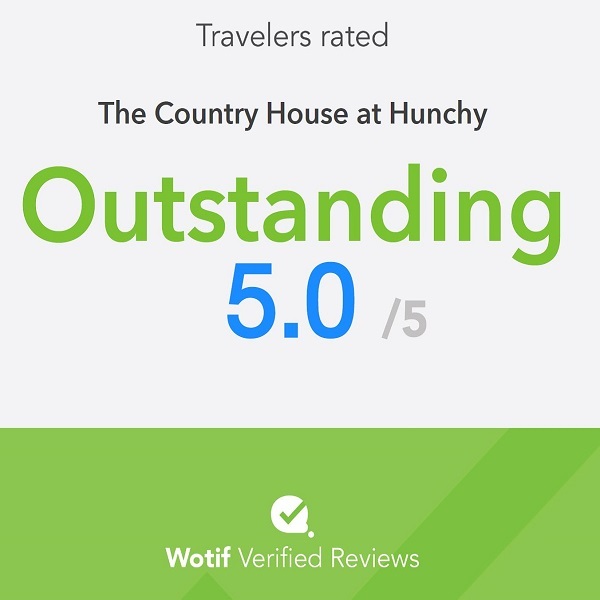 5/5: Google My Business/Google Maps, February 2019: If you want peace and relaxation in beautiful surroundings, I highly recommend The Country House at Hunchy. The spacious guest rooms offer luxurious bed and linens, plenty of space, and many thoughtful touches such as Nespresso coffee machine, local chocolates, bathrobe and slippers, pool towels and make-up removal wipes. The breakfast is wonderful, utilising local produce and hosts are very friendly and helpful. 5/5: Google My Business/Google Maps, February 2019: Lovely atmosphere hosts go above and beyond to make you stay stress free, meals are the best I have ever tasted. Highly recommend them. 10/10: Booking.com, February 2019: A hidden gem! The Country House at Hunchy is exactly as described – it is luxurious, well kept and serviced with a friendly and casual (yet professional) demeanour. Some thoughts moving forward: *Have at least one meal – the food is divine! *Book with Paul and Karin directly to save some money. *Spend some time exploring the house. *If you need suggestions for meals, activities etc. ask your hosts as they have a well of local knowledge. This BnB is amazing. 5/5: TripAdvisor, 28 January 2019: A Perfect Stay. Had a wonderful two day break at this marvellous B&B. We were looked after so well. Luxury accommodation, gourmet meals promoting local produce, afternoon tea delicious and the special treats in the room. Can’t wait to return. Thank you so much Karin and Paul. 10/10: Booking.com, 15 January 2019: A wonderful venue to relax & be pampered. Individual home cooked meals were delightful & service exceptional. Evening dinner was excellent! 5/5: TripAdvisor, 13 January 2019: Weekend retreat: Well we can only agree with the other excellent reviews already posted – this place is fantastic! The attention to detail is second to none and Paul & Karin do everything to make sure that your stay will memorable. We didn’t opt for the dinner there but after experiencing the quality of the breakfast we wish we had! You won’t be disappointed if you decide to stay here! 5/5: Facebook Page, 11 January 2019: The hospitality provided by Paul and Karin is second to none. I booked a night away for my girlfriend and myself and was my first time staying at a B and B and most certainly won’t be our last. The rainforest room was everything we could have hoped and dreamed for and then some! Attention to detail was impeccable, very quiet and peaceful surroundings. Nothing was ever too much to ask for by Paul and Karin. The three course brekkie was one to remember – Karin’s home baked assorted pastries was one of many highlights of this place. All in all – I cannot recommend this place enough and will definitely be back. Thank you very much Paul and Karin for your hospitality and service during our stay! 5/5: Google My Business/Google Maps, 4 January 2019: We had a wonderful stay at Paul’s & Karin’s beautiful Country House. Karin cooked us a 3-course breakfast every morning which was delicious, the location was extremely relaxing & quiet & the room was gorgeous & had everything we needed. We would highly recommend staying here for a romantic getaway from the hustle & bustle of city life. Thank you Karin & Paul for having us! 5/5: Google My Business/Google Maps, January 2019: Absolutely amazing accommodation. Beautiful, clean elegant rooms. Amazing breakfast and hospitality. Owners Karin and Paul are extremely accommodating. Karin’s home cooked breakfast and dinner are not to be missed!! Absolutely delicious! !